Everyone looks forward to indulging in their favourite comfort foods this time of year, so stick to the classics, and have a table full of happy eaters. Save time and stress by making your favourite holiday casseroles ahead of time. Freeze them up to a week in advance, then reheat when company comes. Make guests feel welcome with the table set just for them. 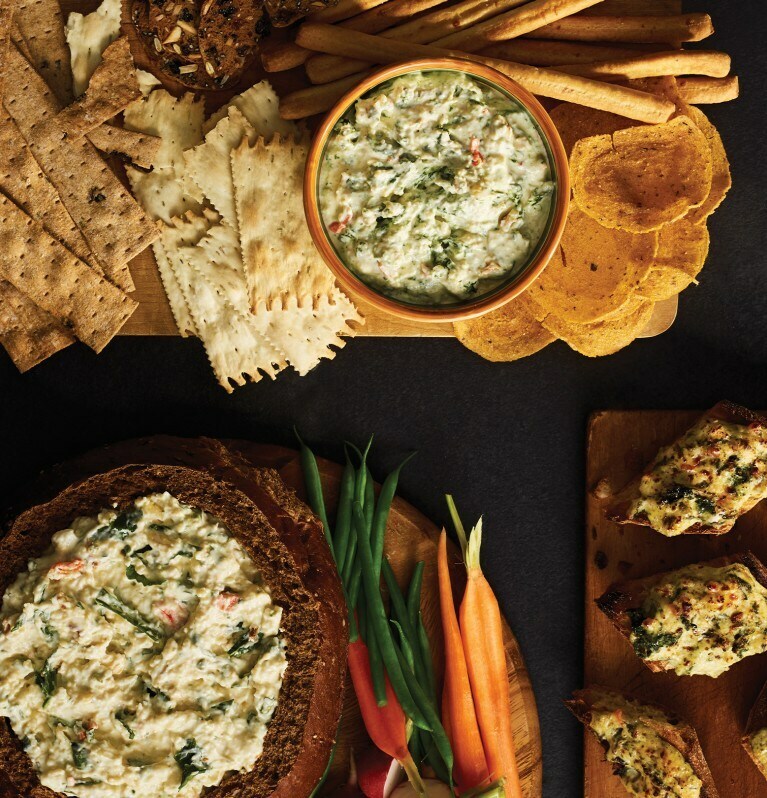 Make one extra-special appetizer, like Baked Spinach & Feta Dip, and pair it with a selection of Knorr® Dips, pre-cut veggies and crackers and chips. Candles set the mood, give off a flattering light and are affordable. Make sure they are unscented so they don’t compete with the smell of your delicious dinner.